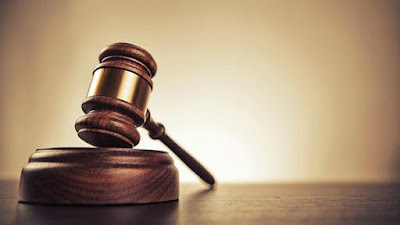 A Karmo Grade 1 Area Court, Abuja, on Thursday ordered that a mechanic, Friday Monday, 25, convicted for criminal trespass into a clinic, be given six strokes of the cane. Monday of Angwan Shahu, Karmo, Abuja, was arraigned on a two-count charge of criminal trespass and attempt to commit offence, offences he admitted committing. The judge, Abubakar Sadiq, said the punishment would have been more severe if the convict had not pleaded guilty and begged for leniency. Earlier, the prosecutor, Mrs Florence Auhioboh, had told the court that one Mike Bako of Hulumi village, Karmo, reported the matter at the Karmo Police Station, Abuja, on Jan. 30. Auhioboh said that on the same date, at about 4: p.m. the convict trespassed into the premises of Joy of The Lord Clinic and Maternity. She said that the convict entered the premises in an attempt to steal aluminum windows and was arrested.